All plastic sign A-frame. Regressed sign area helps to protect sign faces. Can be internally ballasted with sand. Features "click lock" hinges for a positive interlock in the open position. 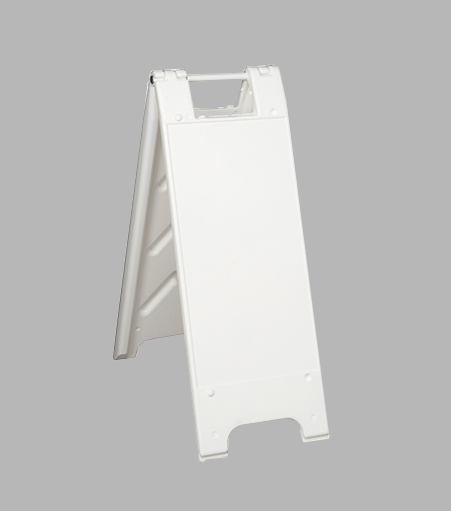 Sign face can receive vinyl sheeting (with surface preparation), metal, Coroplast or acrylic sign blanks.